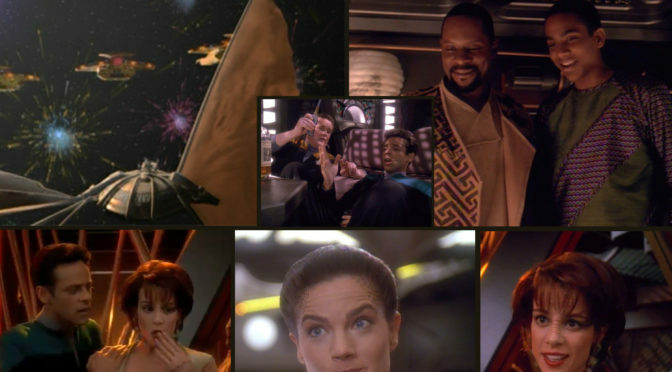 This week we talk the Deep Space Nine episode Explorers with Andrew Dumais. Andrew has been a past guest on the show. He was on our episode about The Doctors and our Religion and Star Trek episode. We hope you enjoyed the Ben and Jake Sisko bit Aaron and David did back on our episode about the Jem’Hadar because that bit is back in a big way! Before we get into the episode we talk some Star Trek news mostly dealing with Star Trek Discovery’s Jason Isaacs. Over the past week or so he has made a wave in the Star Trek community with some of his fascinating comments. This episode heavily features the father and son dynamic so after the main episode discussion Aaron poses the question to Andrew and David if they had any memorable times with their fathers. Once we answer we turn the question to Aaron and his is probably one of the more interesting stories that we get to hear. Where’s the rum you are gonna need it on this solar sail ship because it’s time for your weekly shot of Star Trek!